I’m usually unaware that Valentine’s Day is approaching. That is, until I find myself waiting in a checkout line, surrounded by shelves of heart-shaped boxes, all in varying shades of crimson, wondering how did we get here? 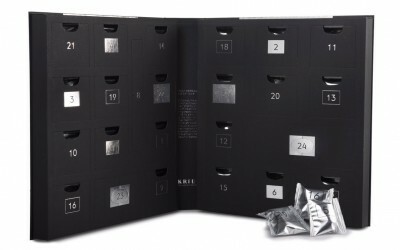 What about a $9.99 box of chocolate has ever said “love?” And what sparked the association between confections and affections in the first place? It turns out, chocolate has long been associated with romance, of sorts. Aztec emperor Montezuma is said to have served hot chocolate to a Spanish conquistador at a banquet, “for success with a woman.” Beyond Spain and further into Europe—from Anne of Austria’s enthusiasm for chocolate infiltrating the French aristocracy with her marriage to Louis XIII, to Charles II’s consumption of chocolate as a sexual enhancer, to Marie Antoinette’s “Official Chocolate Maker to the Queen,” and Giacomo Cassanova’s reference to the sweet as an “elixir of love,”—the elite were passionate… about chocolate. Separately, Valentine’s Day developed over the centuries following Chaucer’s 1382 poem, Parlement of Foules. Throughout Europe, letters and flowers declared love. 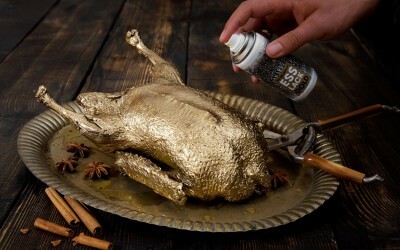 Sugar, an expensive and precious good, long kept confections from the holiday fanfare. 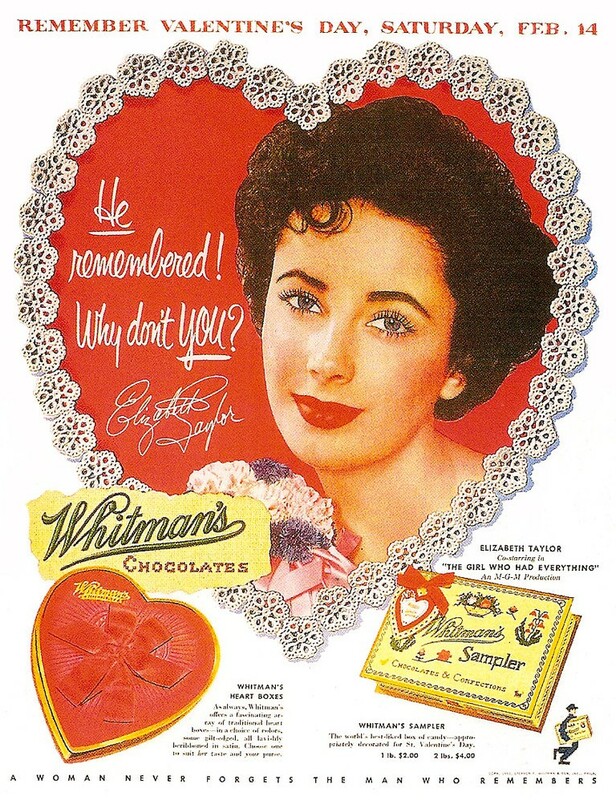 Affordability led both Valentine’s Day and chocolate to each become mainstream in the 1800s. The two finally merged with the help British cocoa company heir, Richard Cadbury. 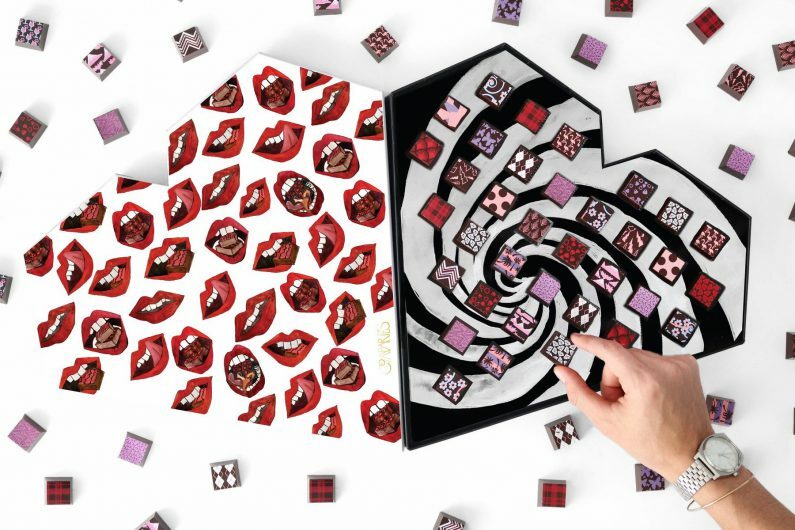 Although originally developed by Cadbury’s, the heart-shaped box of chocolates has become ubiquitous packaging for Valentine’s Day confections. Cadbury developed eating chocolates and launched his “Fancy Boxes” in 1861. The ornate, heart-shaped boxes, decorated with Cupids and other classic imagery, housed doilies cradling assorted marzipan, bonbons, ganache, fruity crèmes, and other chocolates. Having consumed all their sweets, Victorians stored precious mementos in the boxes—perhaps as if keeping the treasure close to their hearts. Unfortunately never patented, the boxes are now most often associated with Russel Stover and, as made evident by the aisles of your nearest big-box store, any other large brand to ever market chocolate for Valentine’s day. In 1863, NECCO developed the first patented candy machine, capable of rolling sugar paste to a shine, stamping a design, and cutting the product into shapes. The invention paved the way for the 1902 development of America’s favorite Valentine’s Day treat: Sweethearts, more commonly known as conversation hearts. 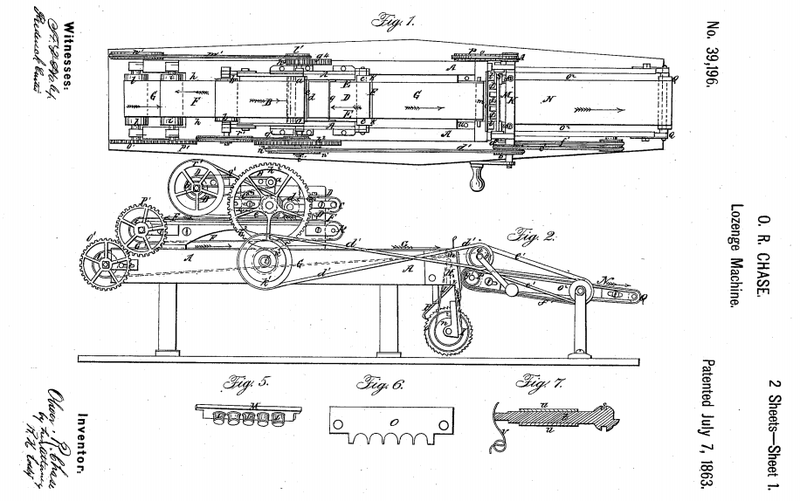 A patent by NECCO for the “lozenge cutter,” the first patented candy machine. Originally with messages like “Married in white, you have chosen right,” and “Married in satin, love will not be lasting,” the chalk-like, but nevertheless endearing, candies evolved. Displaying sentiments like “Fax me,” “Tweet me,” and even growing to include messages in Spanish, Sweethearts outsold heart-shaped chocolate boxes for Valentine’s Day for the first time in 2017, with conversation hearts accounting for over 10% of the holiday’s candy revenue. 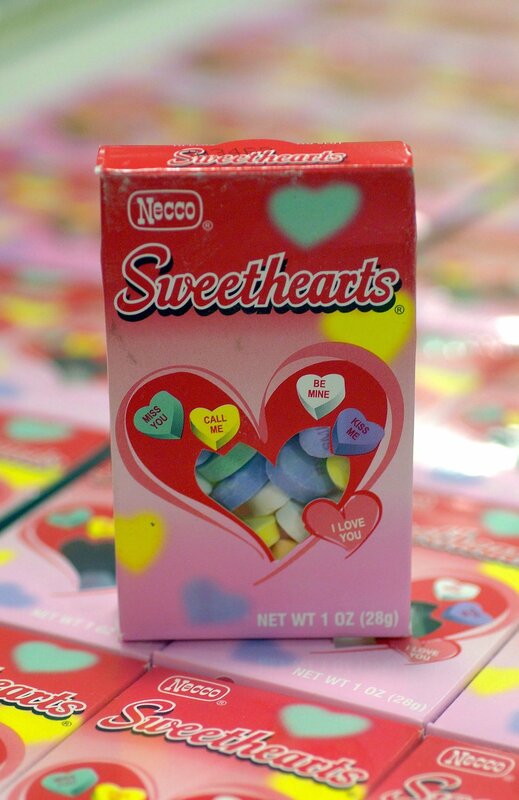 With the closing of NECCO’s factory, and delay in the buyer’s production of Sweethearts, we’re left pining after these nostalgic sweets until 2020. Allegedly named after the machines’ smooching noises as the candies drop onto conveyor belts, Hershey’s Kisses, created in 1907 when Milton Hershey began covering his caramels with chocolate, are a Valentine’s mainstay. 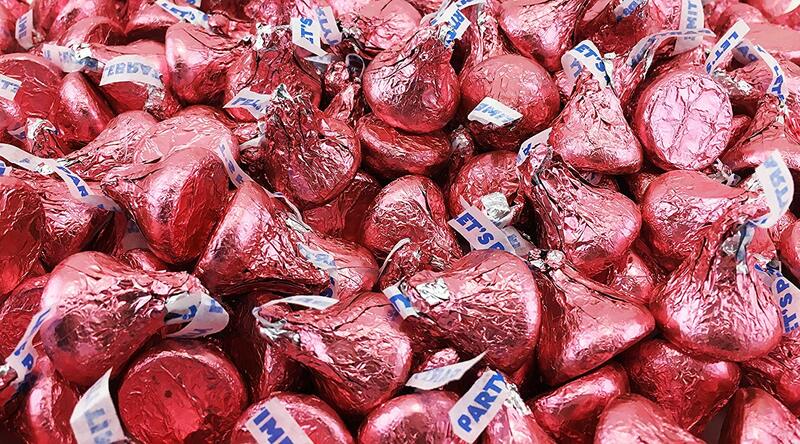 Debuting festive red and pink foil wrappings in 1968, the chocolatier issued Hershey’s Hugs in the 1990s. Now offering a mixed bag of Hugs and Kisses whose bottoms are printed with terms of endearment, the confectioners give an obvious nod to NECCO’s tradition of, quite literally, spelling out how you feel with candy. 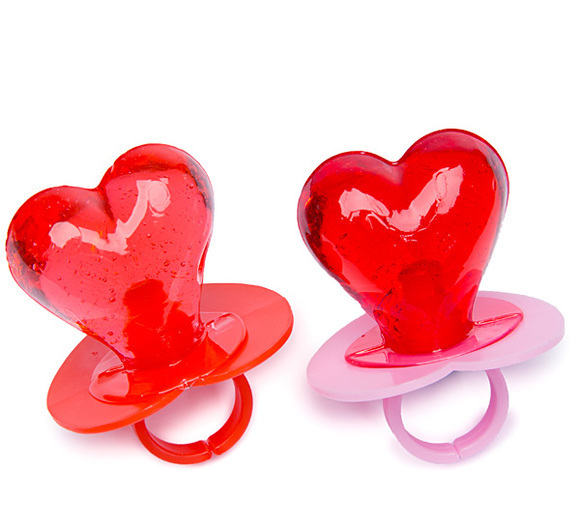 A 1977 invention from Topps, known for their Bazooka chewing gum, the Ring Pop is a kitschy Valentine’s sweet. 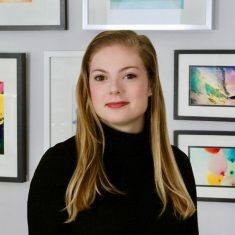 Topps’s director of marketing told The New York Times, “It’s a candy that you put on your finger and flaunt, and it transforms you from just eating a piece of candy to being in the spotlight.” If you were hoping for some bling this Valentine’s Day, let’s hope it’s not one of those heart-shaped Ring Pops. Some less mainstream Valentine’s confections to consider this year are Tony Chocolonely’s Valentine’s Day special dark chocolate and cherry meringue bar that supports making the chocolate industry slavery-free, Compartes’ modern take on the heart-shaped chocolate box featuring artist Jonathan Grahm’s illustrations, or Bon Bon Bon’s chocolate mix tapes and hot cheeto or raspberry white chocolate flavored chocolate floppy disks for a throwback to low-tech techniques for telling, or showing, someone how you feel.